Originally from Devon after graduating from University in Chichester I spent 10 years working in publishing & event management in London. I decided to relocate back to the West Country as the call of the sea beckoned and I wanted to be close to my family and lead a more stress free life. After a visit to Sri Lanka I became passionate about Ayurvedic medicine and Reflexology so decided to follow my passion and become a Reflexology Practitioner. I trained at the prestigious Devon School of Reflexology under the guidance of Principle Sarah Jane Holt (Association of Reflexologists' Tutor of The Year 2014). I hold a Level 3 Diploma in Reflexology and Anatomy & Physiology. I am fully insured, DBS Checked and a proud member of The Association of Reflexologists. I attend regular training courses to further my knowledge. I am also part of The Dorset Area Group of Reflexologists. ​I attend regular training courses to further my knowledge and skills including counselling skills, cancer care, palliative care, end of life care, dementia awareness, aromatherapy, baby reflex, fertility reflexology, maternity care & lymphatic drainage technique. I use Neal's Yard Remedies in my treatments which are both organic and ethical. 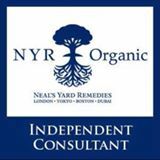 I also work as an Independent Consultant for Neal's Yard Remedies Organic and have a selection of products in stock and can advise clients on what will suit their specific needs. I am based in the beautiful Bride Valley area of West Dorset and live with my husband and two lovely children. I am involved with the Skiing with Heroes charity and are their chosen therapist for the West Dorset area. I am also employed by several local charities to provide reflexology to their clients on a regular basis which is thoroughly rewarding.